Booklets make a great presentation tool! Booklets are printed in full-color (four color process) on 80# Gloss Text. These booklets are 8.5 x 11 finished size and bound by two stitches. Great to use as a restaurant menu. Folded 8.5 x 11 Flyer Brochures are a timeless and effective medium for advertising, marketing, and promotions. Folded Flyer Brochures allow companies, organizations, individuals, and nonprofit organizations to get their message across in a one-page document that is compact, easy to follow, and neatly packaged. Custom-printed folded brochures are an effective way to promote a business or organization and versatile to be used in a variety of ways: prospective client direct mail; promotion for tradeshows and events; community events; important meetings; company profiles; service lists; presentation leave-behinds; target audience information; fund-raisers; school functions; home businesses; retail services; menus – the possibilities are endless. Folded brochures can effectively deliver your message to a captive audience. Tri-Fold Calendars are a cool and effective medium for advertising, marketing, and promotions. Tri-Fold Calendars allow companies, organizations, individuals, and nonprofit organizations to get their message across in a one-page document that is compact, easy to follow, and neatly packaged. 5.3x17 Unfolded and 5.3x5.6 Folded. Printed in full-color on both sides, and folded. Menus determine what a customer orders and how much they spend at with you. 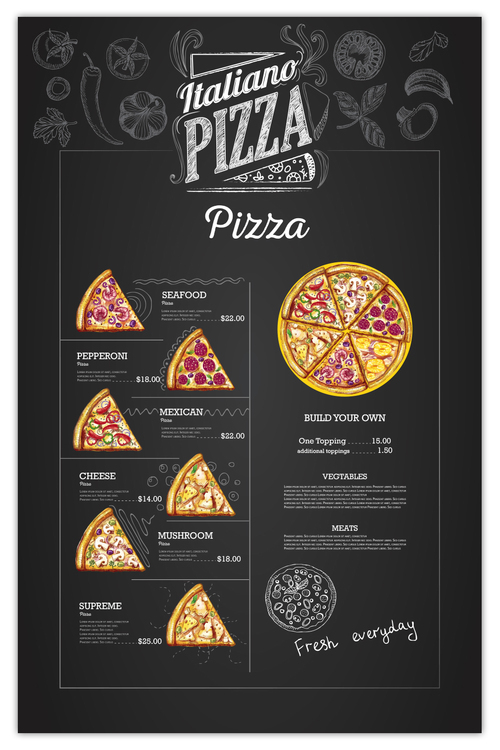 Menus are important to running a successful and profitable business. 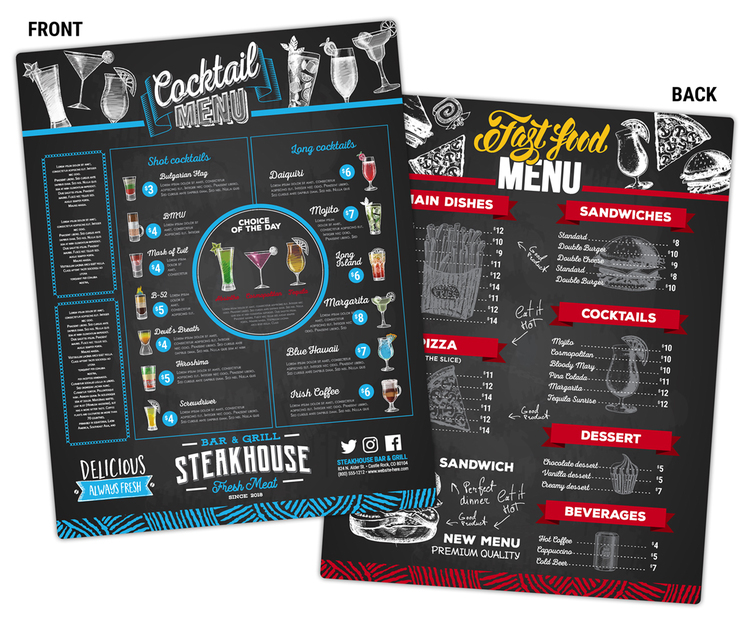 With our Laminated Menus in a variety of sizes, no customer will be without. With a sturdy laminated 14 pt. 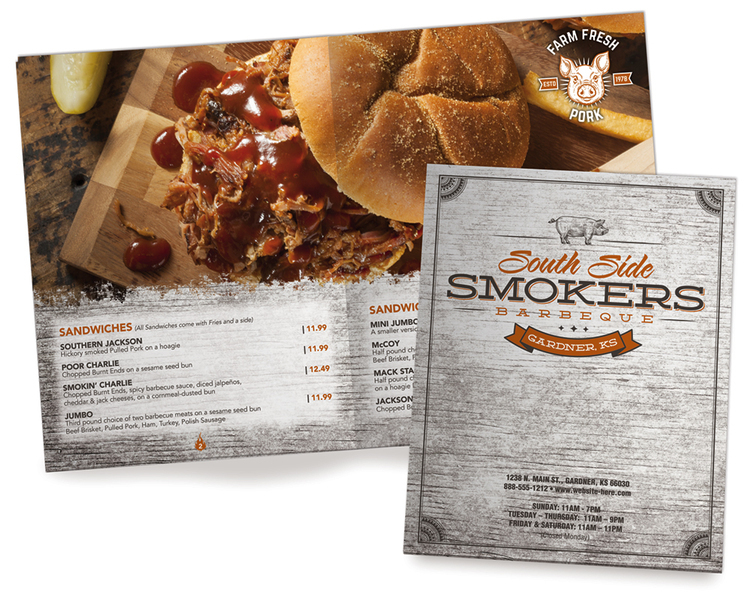 paper and vibrant full-color printing, our menus will compliment your business and provide the exposure needed to succeed in a competitive marketplace. 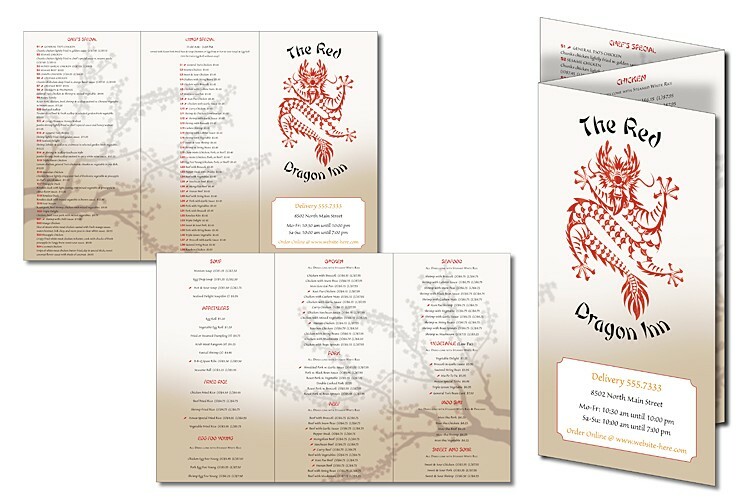 Ideal size for table display inserts, take-out menu, daily specials, promotions, bar menus, etc. 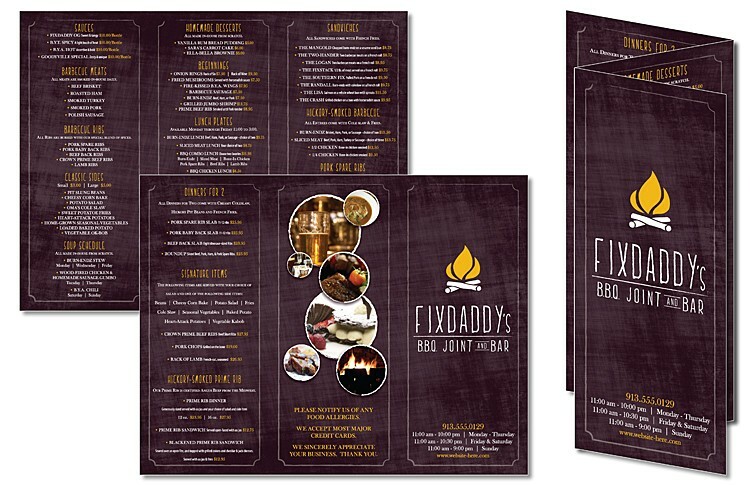 Folded 8.5 x 11 Menus are a timeless and effective medium for advertising, marketing, and promotions. 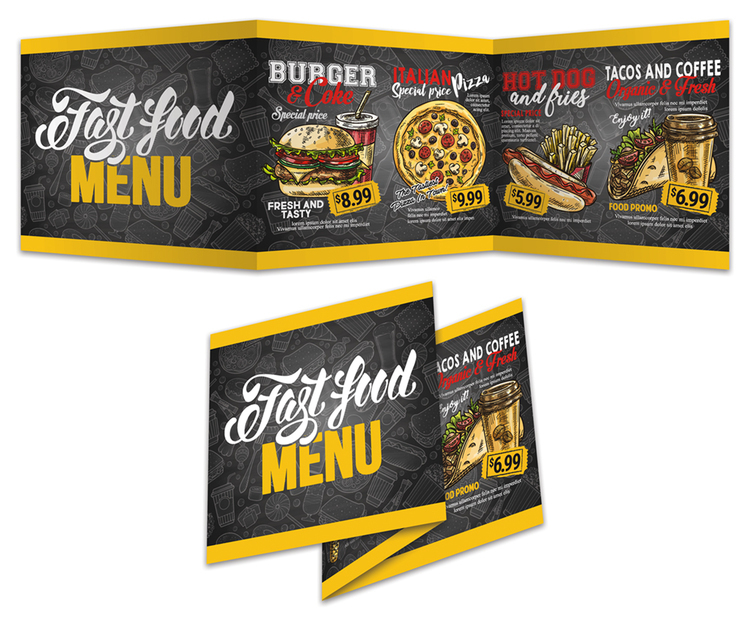 Folded Menus allow companies, organizations, individuals, and nonprofit organizations to get their message across in a one-page document that is compact, easy to follow, and neatly packaged. Custom-printed folded menus are an effective way to promote a business or organization and versatile to be used in a variety of ways: prospective client direct mail; promotion for tradeshows and events; community events; important meetings; company profiles; service lists; presentation leave-behinds; target audience information; fund-raisers; school functions; home businesses; retail services; menus – the possibilities are endless. 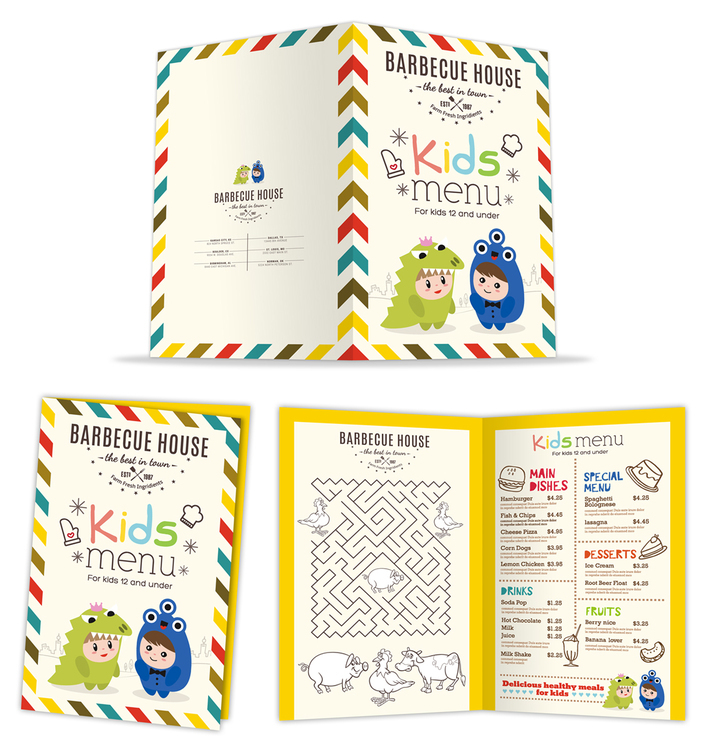 Folded menus can effectively deliver your message to a captive audience. 8.5x11 Letter Size, printed on 4 point (80 lb.) gloss text in full-color on both sides, and folded. Washable Synthetic Menu - 11x17 - 14 pt. Sturdy plastic cards are perfect for calendars, schedules or any type of chart for high visibility and durability. Plastic cards are effective marketing tools used to communicate your message to prospective and current customers. Folded 11 x 17 Flyer Brochures are a timeless and effective medium for advertising, marketing, and promotions. Folded Flyer Brochures allow companies, organizations, individuals, and nonprofit organizations to get their message across in a one-page document that is compact, easy to follow, and neatly packaged. Custom-printed folded brochures are an effective way to promote a business or organization and versatile to be used in a variety of ways: prospective client direct mail; promotion for tradeshows and events; community events; important meetings; company profiles; service lists; presentation leave-behinds; target audience information; fund-raisers; school functions; home businesses; retail services; menus – the possibilities are endless. Folded brochures can effectively deliver your message to a captive audience. 11x17 Tabloid Size, printed on 4 point (80 lb.) gloss text in full-color on both sides, and folded. 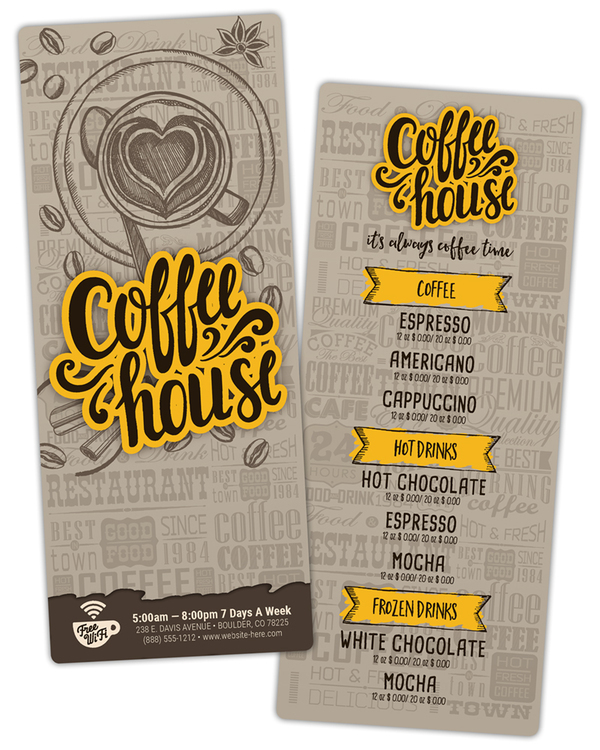 Laminated Menu Card - 3.5x8.5 - 14 pt.